The first three hilarious novels in the award-winning GEEK GIRL series - now available as a 3-book collection. Harriet Manners knows that a cat has 32 muscles in each ear, a "jiffy" lasts 1/100th of a second, and the average person laughs 15 times per day. Harriet Manners knows that humans have 70,000 thoughts per day. She also knows that Geek + Model = a whole new set of graffiti on your belongings. Harriet Manners knows that New York is the most populous city in the United States. 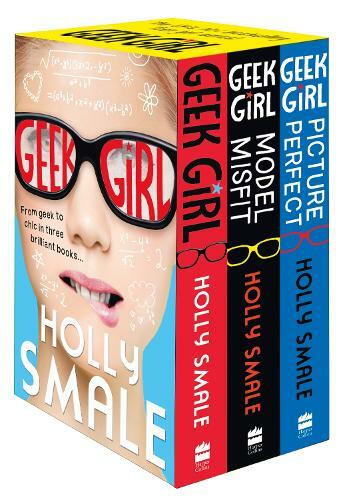 The award-winning debut, GEEK GIRL, and brilliant follow-up titles in the bestselling series by Holly Smale.